If you want to increase your business and want to more profitable, first you have to spy your competitors how he in the top position. Especially for Google adwords PPC keywords . Because SERP position change quickly due to competitor bidding. Also you have to know before few month or years ago yours competitor use which PPC keywords to drive traffic to their site. To collect those kinds of keywords and information can be very time consuming task, but i can do for it as soon as possible. 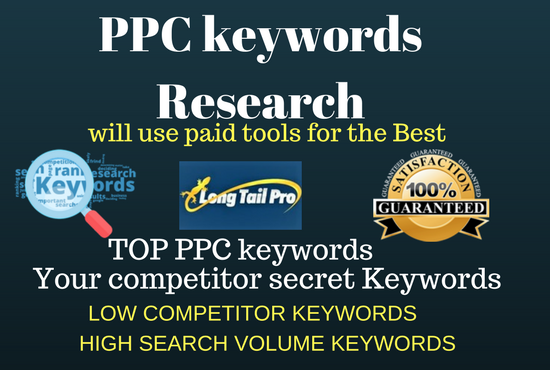 * I will analyze your competitors PPC keywords (Google adwords) and provide you details which they are currently running. * I will deliver your details report in CSV / Excel format with list of all KWs which your competitors. * And also get some long tail KWs which actually rank up you in Google adwords.